Remember when you were at school and you did experiments? Those were the days (although the workbench in Mr Stanley’s lab never really recovered from one involving magnesium). Yesterday I attended Counter Terrorism Expo 2013, along with several hundred other people from a whole variety of industries and organisations. Enthusiastic marketing materials meant I had a preconception about what I would be seeing…this expectation, sady was not met. However, it did look like lots of people had managed to find jobs where they continue to be able to perform experiments! I lost count of the numbers of panes of ‘blast and balistic proof’ glass and ‘Hostile Vehcile Mitigation’ measures I saw, but it paled in comparison to the miles of intruder-resistant fencing. I’m not suggesting that these measures don’t serve useful purposes; I’m sure that many an incident has been prevented, or it’s impact reduced, by the presence of these features. But what I was surprised at, was the absolute obsession on physical security. In my opinion, Counter Terrorism interventions fall along a continuum of hardness (yes, that’s a term I’ve coined myself). It’s perfectly fine having fences and CCTV, but that’s treating the symptoms rather than the underlying causes. I was surprised by yesterday’s exhibition, that there was a complete omission of some of the softer aspects of countering terrorist activity. Interventions such as the promotion of democracy, economic development, education, engagement and counter-radicalization could all have useful applications. In addition, monitoring community tensions and sentiment could provide the ‘canary in the mine’ for the implementation or activation of some of the harder approaches. 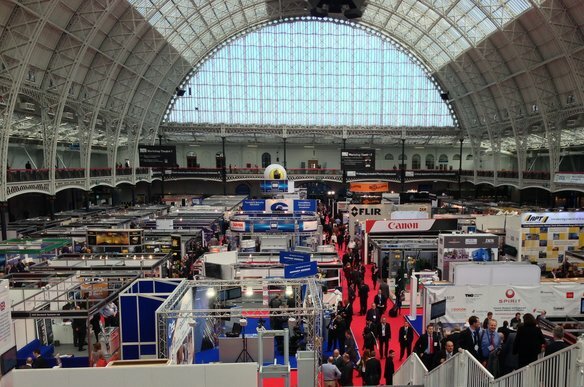 Trade shows and exhibitions serve a certain purpose, but it’s important when attending them to remember that the shiny toys and experiments performed in front of your eyes are just one of many soloutions.